If you're in search of a casual yet totally chic look, consider teaming a white crew-neck t-shirt with black and white vertical striped skinny pants. Both garments are totally comfy and will look fabulous together. Make your ensemble more fun by finishing off with Santoni low top sneakers. This combo of a black blazer and black leather jeans is effortless, stylish and oh-so-easy to copy! For something more on the daring side to complement this outfit, go for a pair of Santoni low top sneakers from farfetch.com. If you're a fan of relaxed dressing when it comes to fashion, you'll love this adorable pairing of a blue ripped denim jacket and a white denim mini skirt. Santoni low top sneakers work spectacularly well with this look. If you're on the hunt for a casual yet totally stylish ensemble, choose a red cardigan and black skinny jeans. Both items are totally comfy and will look fabulous paired together. Throw in a pair of Santoni low top sneakers from farfetch.com to make the outfit more current. If you're after a casual yet absolutely chic ensemble, consider teaming a black leather biker jacket with a black mini skirt. Both garments are totally comfy and will look fabulous together. When it comes to footwear, this ensemble pairs wonderfully with white leather low top sneakers. If you're hunting for a casual yet chic look, pair a black blazer with black skinny jeans. Both items are totally comfy and will look fabulous together. 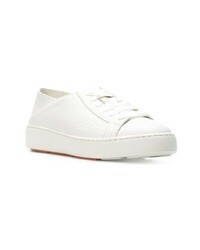 Santoni low top sneakers from farfetch.com will add a casual vibe to your outfit. If you're after a casual yet totally stylish look, rock a navy coat with white capri pants. Both items are totally comfy and will look fabulous paired together. 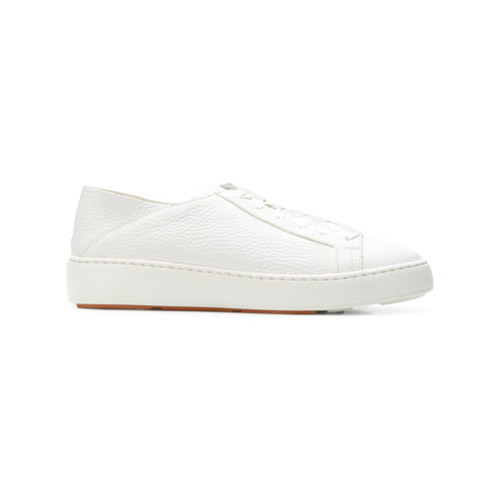 Throw in a pair of Santoni low top sneakers for a more relaxed aesthetic. 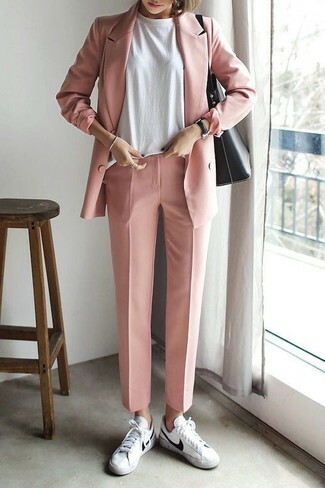 For a casually elegant getup, dress in a pink double breasted blazer and pink dress pants — these pieces fit pretty good together. 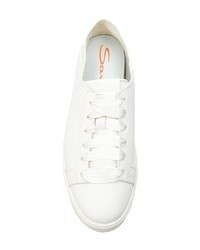 Santoni low top sneakers from farfetch.com will add more playfulness to your getup.